I’m sure you have read many articles about the benefits of using a GPS when traveling in your automobile or RV. Since GPS technology was released by the military, for use non-military use, I have owned two. 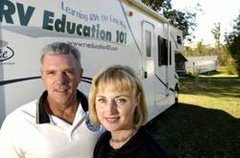 Both worked okay when traveling by automobile, but when traveling in a 35’ motorhome, towing a dinghy, they can get you in situations you don’t want to be in. Most GPS units manufactured and sold today are designed for use with automobiles. 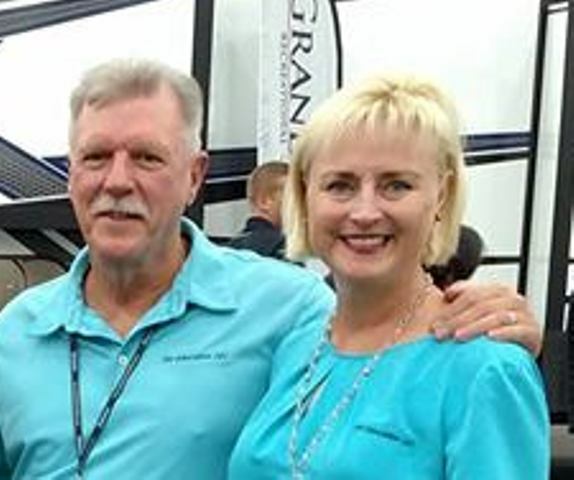 Small to mid-size vehicles don’t need to be concerned with low bridges, narrow roads and other restrictions that are unsuitable for larger vehicles like RV’s. So, I set out to find a GPS unit suitable for RV travel. This meant a GPS that offers features and benefits above and beyond what a typical automobile GPS has to offer. For starters I wanted a larger screen that is easy to see from the driver’s seat in the RV. Next I wanted one that allows you to input height, weight, width and other limits, and one that will warn you of any restrictions along the route based on the information you input in the system. Other features I was looking for in the GPS were voice prompted driving instructions, touch screen, Points of Interest (POI) that include truck and RV friendly POI’s, and finally a reasonable price for a GPS that offered all of these features. 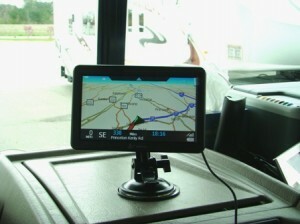 The features I wanted in a GPS for RV travel quickly eliminated the majority of GPS units available on the market. I narrowed my choices to several models, offered by various manufacturers, which were designed specifically for professional driver navigation. Some were advertised for truck navigation and some for RV/truck navigation. After a close comparison between models I chose the Cobra 7700 PRO for professional driver navigation. The 7700 PRO offered all of the features I wanted in a GPS and more. It has a large 7” touch screen that is easy to see and it uses your vehicle height, width and Gross Vehicle Weight along with national and state truck restrictions to provide you with the best route possible based on the profile you enter. You can select from two routing options, either the “Shortest Time” or “Shortest Distance”. If you select the “Shortest Time” the 7700 Pro will route the trip based on the quickest arrival time taking road classes and typical road speed into account. If you select the “Shortest Distance” it will decrease the distance traveled but increase the estimated arrival time. Both routing methods take commercial truck restrictions into account. You also have options like avoiding toll roads, freeways, or routing your trip using the National Highway Network (Interstate Highway System). During the first 1,000 mile test in the RV the 7700 PRO worked extremely well. It displays the current route you are on (or you can view a turn list) and as you approach a specific turn it displays the turn and distance on screen and advises you what to do. I programmed the 7700 PRO to also display the speed I was traveling, distance to my destination and the estimated time of arrival, all very nice features. Another feature I really like is the “auto” or “truck” option. The 7700 PRO lets you select “auto” or “truck” when it initially powers up. When you are not traveling in the RV, and don’t need to be concerned with restrictions imposed on larger vehicles, you can select the “auto” mode and use the 7700 PRO in any of your automobiles too. The cost for this professional navigation system is $400.00. This is a very reasonable price for a GPS with all of these features. The money I spent on the first two GPS units (that didn’t work well with an RV) equaled the cost of the 7700 PRO. If you want or need these types of features in a GPS you can’t go wrong with the Cobra 7700 PRO. For more information visit the Cobra 7700 Pro website.